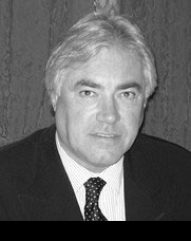 Brian Sharman has practised in criminal law throughout his career for both the defence and the prosecution. He was admitted as a solicitor in 1980 and became one of the first Solicitor-Advocates in 1994. Brian transferred to the Bar in 2004 and has maintained a busy criminal practice ever since. Prior to the establishment of the CPS Brian was responsible for prosecutions in the Dorset Police Western Division. In 1985 he was appointed Crown Counsel in charge of prosecutions in the British Crown Colony of the Cayman Islands, a major off-shore financial centre in the West Indies. There he appeared for the prosecution in all levels of offences including serious frauds, numerous large drug cases and murders for which at that time the penalty was death. Upon returning to the UK in 1992 he established Sharman & Co, a criminal practice with offices in Southampton and Bournemouth. He dealt with a steady stream of serious cases including complex fraud, homicide and in particular large-scale drug importation and supply offences tried in Courts throughout the South and the Midlands. During Brian’s years of practice as a solicitor virtually every police officer in Dorset facing criminal or disciplinary proceedings and others from neighbouring forces such as Avon & Somerset instructed him to act for them. In 2011 he was appointed to the standing list of Lead Defence Counsel of the United Nations Special Tribunal for Lebanon which has been established in the Hague to try terrorism cases. Examples of his cases over the years are set out below.